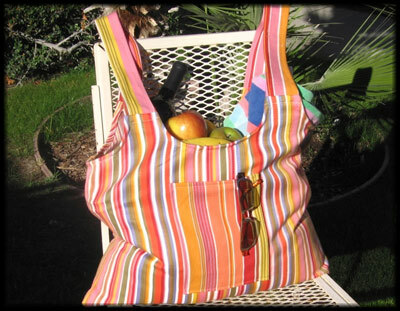 Tote your Yoga Mat in Style! 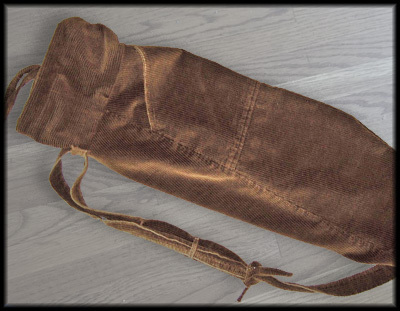 Backpack your gear in style! 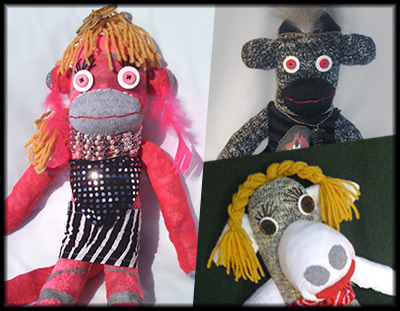 Our Sock Monkeys are a result of our self-expression, creativity and commitment to finding innovative ways to Upcycle discarded materials into new products with a higher value. 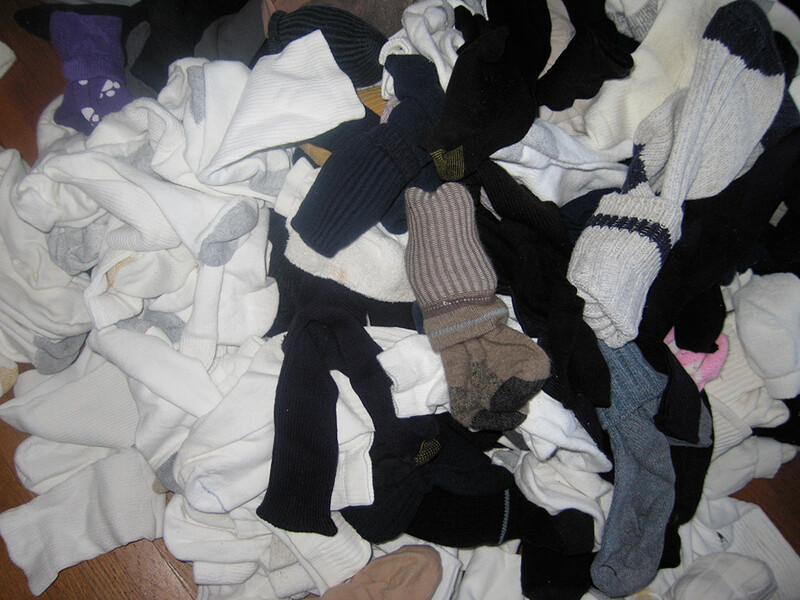 Our mission is to help eliminate waste, and use of virgin or non renewable materials and divert trash from landfills. We also seek to help limit the world's carbon footprint by using waste and eliminating all steps in the traditional manufacturing process. 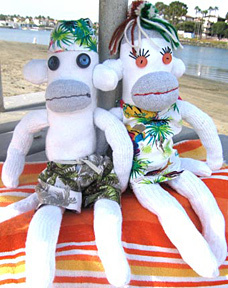 Our innovative UPcycling of clothing waste has resulted in the creation of our Sock Monkeys. 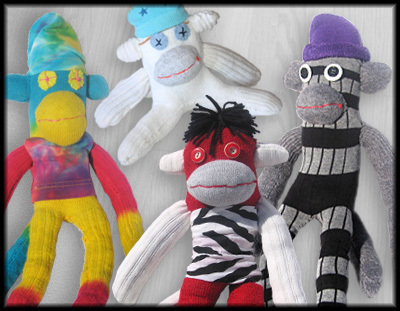 Each one of our Sock Monkeys has a name, a bio and a commitment to the environment along with a people peeve. 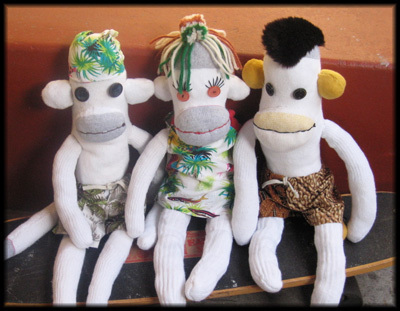 Please read the Bios of each Sock Monkey in Sock's Shop. 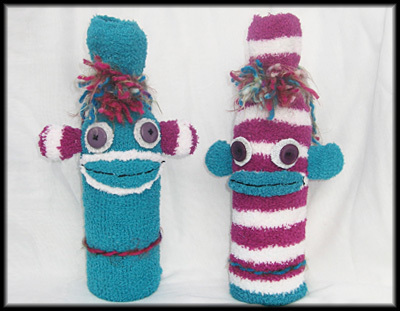 All of our products are made from recycled materials that we obtain from discards. 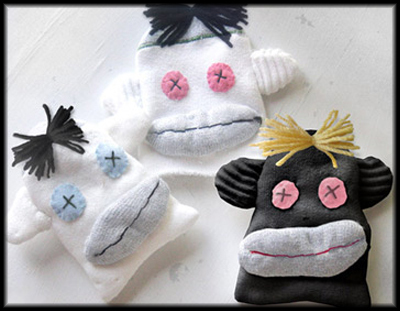 They are then cleaned and hand sewn in our studio. Upcycling is a process where used or discarded materials are re-purposed in order to create new, more valuable and useful products. 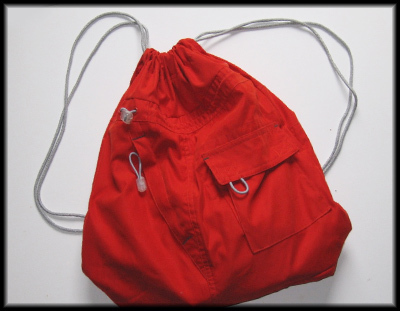 As a component of sustainability the process of UPcycling closes the recycling loop.